This recipe was one of mother-in-law’s. Sadly she passed away many years ago so I don’t have too many of her recipes. 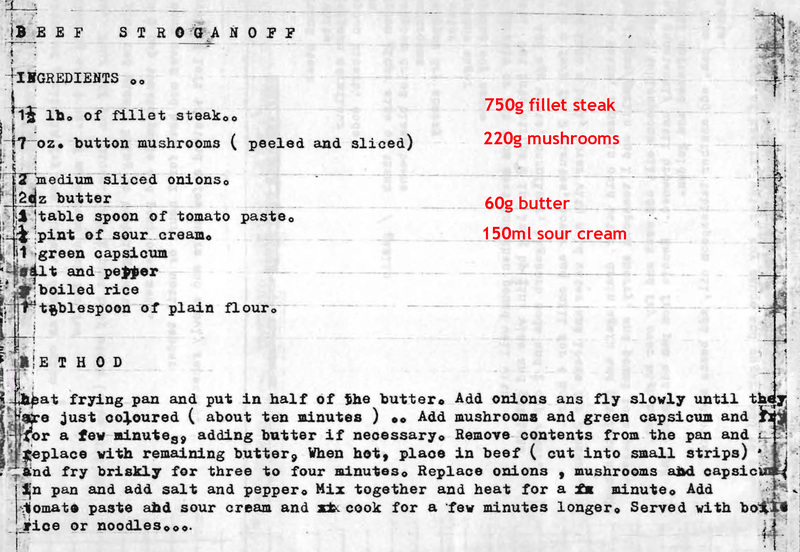 She was a great cook though and this early version of Beef Stroganoff was one of my favourite things that she used to make. This entry was posted in All Recipes, Beef, Main Dishes and tagged 1960s, beef stroganoff, capiscum, mushrooms, onions, sour cream, steak, tomato paste by bebsrecipes. Bookmark the permalink.